Okay, now we’re talking! Whenever I mention the word “modern,” I get some negative reactions from people who abhor the harsh, slick show off modernism of Los Angeles or Palm Springs. The truth is that modern, in my opinion, could be replaced with “next” or “innovative” or “appropriate.” Whenever architecture takes an opportunity to rethink what people want in a house, and come up with a beautiful and appropriate design for a region, it’s a win. Such is the case with this Ikena Kai property. 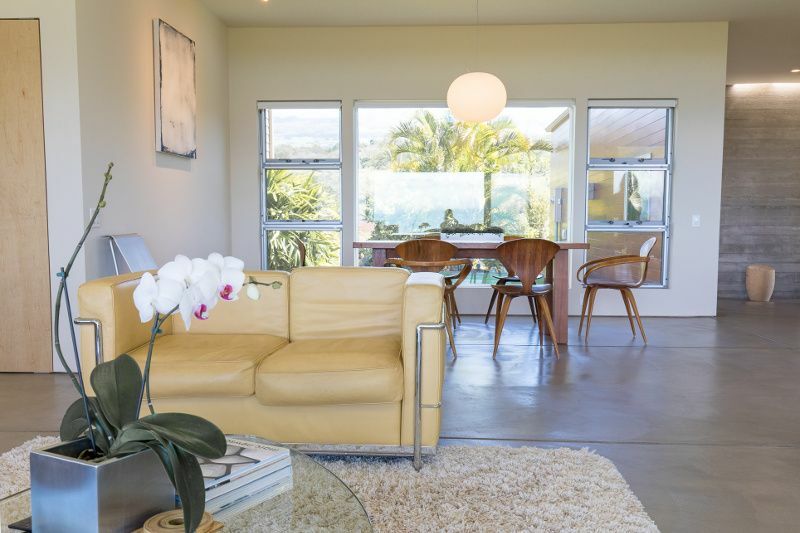 Architect Jim Schmit has delivered a finely tuned structural painting of light, wood, and feathery concrete for his clients, one of whom hails from Japan, and the other from Maui. The house is informed by cultural and geographical leanings from both cultures. From Japan: The Tatami mat room, the hallway scales that morph and squeeze you from public space into comfortable sequestered privacy. From Maui: A rich celebration of both mountain and ocean views, wide welcoming openings to a generous lanai, and a humility that roots deeply into the earth. 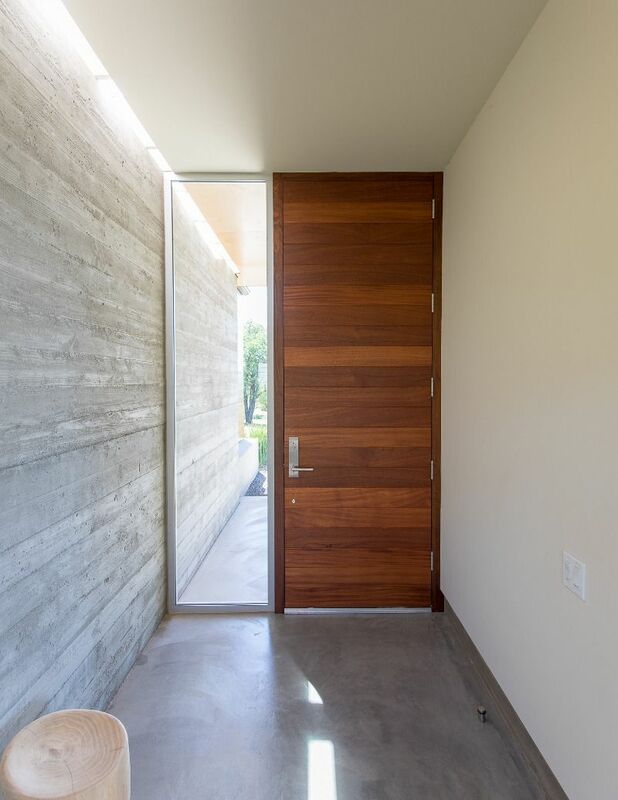 Entering the house, we are chaperoned by a light-drenched board formed concrete wall whose horizontal wood grains point us inward. The board forming process allows the soul of the wood boards to be transferred to the concrete giving it a warm earthy rustic look. All this is theatrically drenched in the sky’s light filtered through a slender long sliver along the top of the concrete. The concrete continues more subtly underfoot as highly polished foot soft “grey clay” and forms the stage where the rest of the house’s light and forms are presented. The structural elements of the house are light and airy and allow for the art and furniture to take center stage. A wonderfully diverse collection of chairs, couches, tables, carpets, fine art really deliver the house out of pretense and into a more playful celebration of color and comfort. For a deeper dive and more pictures, please visit Modernonmaui.com’s article on the house. The house is listed by Maui Home and Life but I would be happy to represent you as a buyer for this exemplary form of a very Maui specific architecture! You have such a great sensibility for these homes and ability to present them…I want a version of this home for myself!